Over a 14-year period, the obstetric outcome of Jehovah’s Witnesses in an inner city hospital was reviewed and the effect of refusal of blood on morbidity and mortality evaluated. 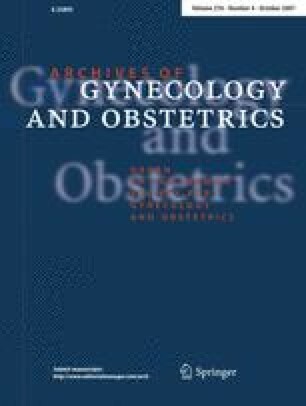 Ninety women had 116 deliveries and of these, 24% were delivered by caesarean section, 10% had instrumental deliveries and 66% were normal vaginal deliveries. Postpartum haemorrhage of >1,000 mls occurred in 6% and postpartum anaemia was the commonest complication. The mean postdelivery haemoglobin (11.10 ± 1.15 g/dl) was not significantly less from the mean predelivery haemoglobin level (11.81 ± 1.62 g/dl) (P > 0.05, paired t test). The single maternal death occurred after caesarean hysterectomy, which when extrapolated, resulted in a 65-fold increased risk of maternal death compared to the national rate. The optimum management of pregnant women who decline transfusion is discussed. The authors would like to thank Miss F. Evans, Miss A. Govind and Miss B. Subba for allowing inclusion of data of women under their care. The authors would also like to acknowledge the help of Mr B. Brooks of the Jehovah’s Witness Hospital Liaison Committee of North London for his advice. Plan in advance for blood loss including correction of antenatal anaemia. Women declining blood transfusion must complete an advanced directive declining blood and blood products. Consultant obstetrician, anaesthetist and haematologist must be aware that a Jehovah’s Witness has been admitted in labour. All such patients must have the third stage of labour managed actively and must be observed for the first hour after delivery. Involve obstetric, anaesthetic and haematology consultants. Establish IV access wide bore cannulae and give colloid infusion. Take bloods for Full Blood Count and coagulation studies. Give IV oxytocin and IM ergometrine. Exclude retained placenta and vaginal trauma. Give Carboprost (Haemobate) 250 μg/ml IM repeated after 15 minutes. Give rectal Misoprostol 800 μg which is rapidly absorbed and avoids problems associated with oral administration. Recombinant factor VIIa, 90 μg/kg which provides site specific thrombin generation. Antifibrinolytic agents Aprotinin (Trasylol) 2,000,000 U followed by 500,000 U/h or Tranexamic acid 1 g IV tds. CB Lynch uterine brace suture. Cell salvage, which has been used in at least 400 cases without complications of amniotic fluid embolism or coagulaopathy. The use of a leucocyte depletion filter together with separate suction minimises amniotic fluid embolism. Use recombinant human erythropoietin (rHUEPO) 300 IU/kg × 3 weekly subcutaneously. Augment with oral iron, vitamin B12 and folic acid. Hyperbaric oxygen therapy is an option in life threatening anaemia.